If you’re working from home and need access to your office work computer, you have two options available to you. To access your work, you could connect with a virtual private network (VPN) service, or you could connect using a remote desktop connection (RPN) service. 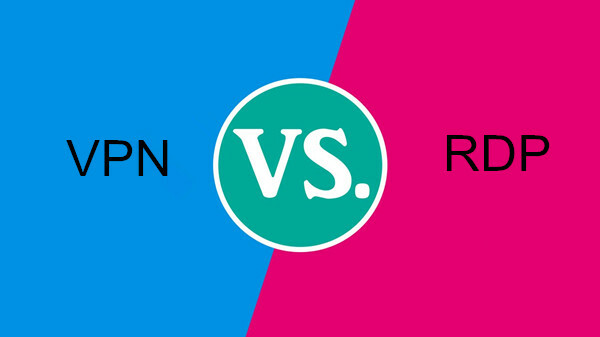 While many people believe VPN and RPN services to be the same thing, they’re actually not. Both types of software provide different levels of access of a remote network to access resources. While a VPN service will allow you to access resources on the network, an RDP can provide a larger range of processes because it allows you to access your computer terminal and the network. Both options can be used on Windows and Mac computers, and likewise, both options have pros and cons depending on what you’re attempting to do. VPN allows you to encrypt your internet traffic for your protection. It allows you to enable geo-location services and to bypass content restrictions. By using a VPN, you can access a network from home, allowing you to work from home, and allowing you to access files from your work computer. RDP not only allows you to access network resources, but allows you to have access to the resources on a single computer. This means that you can run specific network licensed software that you wouldn’t be able to otherwise. RDP is great because it allows you to screen share, and over-all it’s easier to use than VPN, although you you’re more limited by what you can do. VPN unfortunately uses a lot of bandwidth, since files you access will be transferred to your computer for you can access them and edit them. Also, VPN’s traffic is routed through your internet connection, even if files don’t require internet access to access them, meaning you’ll need a good internet connection to use VPN. Lastly, using a VPN can cause system errors if not configured properly, but on the upside, the errors are easier to troubleshoot than those associated with an RDP. Sadly, RDP’s are very insecure and with a little patience, somebody could gain access to the network. In most cases, an RDP is used with a VPN. As well, RDP’s are harder to troubleshoot if errors occur, can be hard to configure properly, and can lag if your bandwidth isn’t good enough. Running RDP on it’s own is fine as long as you maintain safe security and encryption practices. If you have no bandwidth intensive data, than a VPN service will be enough. However, most people prefer to use RDP since it uses less bandwidth. Lastly, because of the amount of security concerns facing RDPs, it’s best to use it alongside a software that performs encryption services.